There is always something special about family photography sessions. Whether it is for the entire family or just the children, I understand that as trusted family photographer Hertfordshire residents have gone to for year, that my photographs capture moments in time that will soon pass, but not be forgotten. That’s why my family photography sessions are fun, relaxed, and so productive because my knowledge and experience helps me get the natural results that you want. Over the years I’ve been a photographer, I’ve learned how to get the best results from children and adults so that the family portraits and photographs are not only beautiful, but natural and fun as well. Because I have worked with families for several years, I understand how a photography session with adults and especially children can be a trying event. That’s why I start by suggesting a comfortable, natural setting that puts everyone at ease. You can choose a favourite location that you love to take your kids, or I can suggest several settings that they will find fascinating. If you have small children, toddlers, or even babies, we can schedule the family photography session in the privacy of your home. That way, I can capture the beautiful moments that happen. All I need is just a little space and natural light to make it all look wonderful for your photographs. 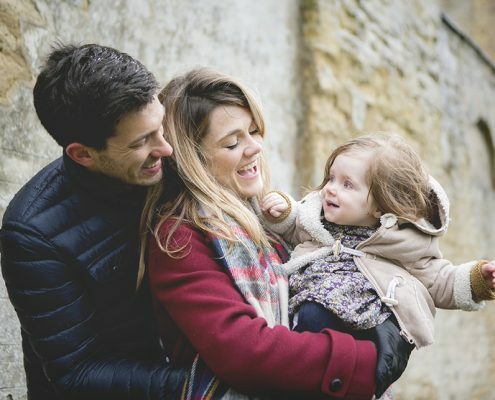 For many families, having a photography session at home not only makes sense, but it takes a great deal of the consternation out of having to travel to another location. In addition to finding the right setting which may include your own home, I will also capture a variety of images that includes the entire family, just the children, and individual so that the session becomes special and personal. The lifestyle images capture those wonderful, natural moments that bring out the personality of the children and the adults as well. My goal is to create the most natural photographs of your family so that they will be cherished for a lifetime. I also love to hear your ideas and incorporate them into the photographs when and where I can. This is why I am the family photographer Hertfordshire residents want to use to capture those special moments. Plus, I offer a package of services with rates designed to fit your budget while providing you with the family photographs you desire. From simple family portraits to packaged sessions that capture the magic moments that you will cherish for a lifetime. Please call or contact me through this page and let me be your family photographer. Our lives are made up of moments that pass all too quickly. My services are designed to capture such moments in family photographs that you will be proud to display and cherish that will be passed down from generation to generation. So let’s get started today by calling or contacting me and we can get started on preserving this special time for your family.